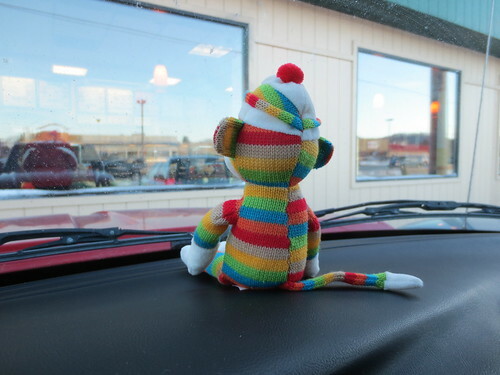 Some of the monkeys favor a road trip for the holiday week. Too bad for them that they can’t drive and thus are dependent on me for transportation. 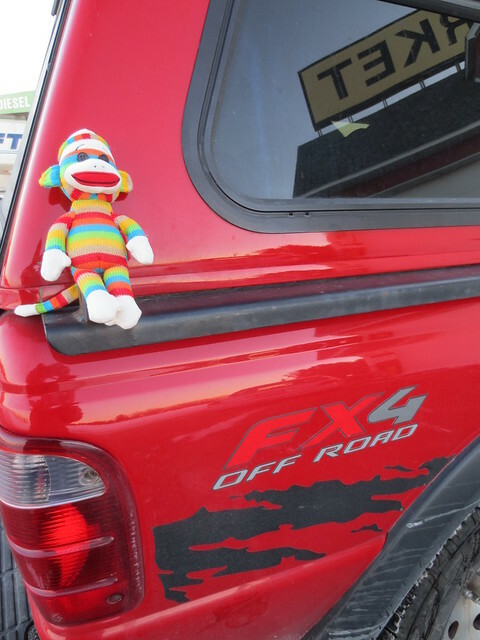 New Monkey is ready to go. He want to go off roading. I don’t think so, little monkey. 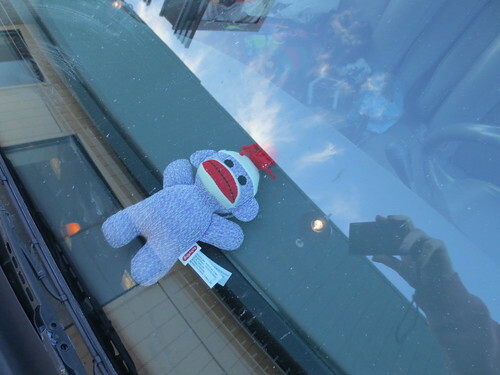 Baby Monkey is content to recline on the dash of a sedan and look at the sky. Tune in tomorrow to see what else the monkeys get up to—or if I’ve gotten tired of taking their photos and have moved on to something less whimsical.